Our team provides personalized service with the goal of finding creative, result-oriented solutions while always striving to protect our clients’ best interests. 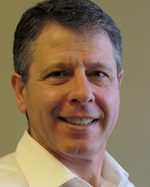 Ennio Trignani is a partner at Boddy Ryerson LLP. He has over 20 years’ experience in the practice of law. His main areas of practice are commercial agreements, business law (including business set ups and incorporations, business sales and acquisitions, and business reorganizations), secured financing transactions for banks, real estate transactions, estate planning and estate administration. Mr. Trignani has sat on numerous boards of directors, including Riverfest, the Heart and Stroke Foundation of Ontario, the Brant Law Association, the Brant-Brantford Chamber of Commerce, the Rotary Club of Brantford-Sunrise, the Brant Community Foundation, and Brantford Minor Hockey Association. He also has teaching experience, including teaching business law and has been asked to speak as well as write of various legal topics. Wendy Newton graduated from University of Western Ontario with a Bachelor of Arts, Honors Philosophy in 1988 and a Bachelor of Laws in 1992. Ms. Newton graduated from law school on the Dean’s List and was admitted to the Ontario Bar in 1994. 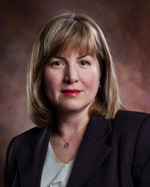 Ms. Newton joins Boddy Ryerson LLP in January, 2012 as a partner after practicing for over 17 years in Brantford in the areas of residential and commercial real estate including purchases and sales, property development, condominium law and development (including advising condominium developers, boards and purchasers), as well as in the areas of corporate commercial law and wills and estates. Ms. Newton is a member of the Ontario Bar Association and Canadian Condominium Institute. She has served on numerous committees and boards, including Enterprise Brant and Brant Community Foundation. Ms. Newton is currently a director of the Brant Law Association. Michael Jaeger graduated with a Bachelor of Arts (Honours) degree in Political Science from the University of Guelph in 1989, and received his law degree from the University of Windsor in 1992. Mr. Jaeger was called to the bar in 1994. Mr. Jaeger has practiced law in Stratford, Hamilton and Brantford, Ontario. 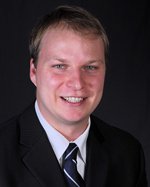 Michael has for several years sat on the Board of Directors of the MS Society of Canada – Brant County chapter. 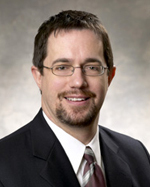 Mr. Jaeger has been an associate with Boddy Ryerson LLP since January 1, 2007. His main areas of law are civil and commercial litigation, including wrongful dismissal, shareholders disputes, breach of contract, debt collections, personal injury claims, insurance claims, construction liens, appeals, disability claims, professional malpractice, estate litigation, family law and municipal by-law defence work. Tanya Stephens is a graduate of Wilfrid Laurier University, Brantford Campus. She graduated with a B.A., majoring in Contemporary Studies and Philosophy and minoring in Global Studies. Ms. Stephens graduated with high distinction and was a medalist in both Contemporary Studies and Philosophy. 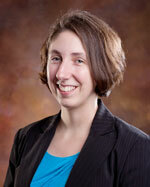 Ms. Stephens obtained her Law Degree from the University of Western Ontario in 2006. She graduated on the Dean’s List and won awards in both Labour Law and Corporate Law. Ms. Stephens articled at Boddy Ryerson LLP and was called to the bar in June 2007. She is now an associate with the firm, practicing mainly in corporate/commercial law, wills, estates and real estate. Ms. Stephens is currently serving as a member of the Brant County SPCA Branch Advisory Committee. Alexandra Derus is a graduate of the University of Western Ontario. She graduated in 2014, with distinction, receiving a Bachelor of Arts Honours Specialization in Criminology and Minoring in Psychology. 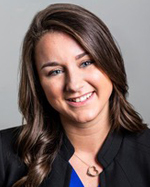 Alexandra received her Law Degree from Western in 2017, and was called to the Ontario Bar in 2018. Returning to her hometown of Brantford, Alexandra joins Boddy Ryerson LLP as an associate, practicing in corporate/commercial law, real estate and wills and estates. Derek Janzen graduated with distinction from the University of Guelph in 2008 with a Bachelor of Arts Honours degree in History, Criminal Justice and Public Policy. He received his law degree in 2011 from Western and was called to the Ontario Bar in 2012. Derek joined Boddy Ryerson LLP as an associate and practices in the areas of litigation, employment law, personal injury, construction liens, municipal law, corporate/commercial, estate planning as well as tort and family law. Derek also represents clients before various administrative boards and tribunals in the Province. Derek currently serves as a member of the Brantford Rotary Club and the Terry Fox Foundation Brantford Planning Committee. © Copyright Boddy Ryerson LLP 2011. All rights reserved.